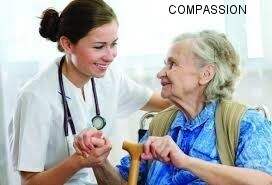 Welcome to Agape In Home & Health Care, LLC where LOVE and CARE are the essence of our company. Our caregivers have a passion for providing exceptional, compassionate care to our clients while simultaneously exhibiting unconditional love through patience, kindness, and trustworthiness. As a result, our clients and their family will have peace of mind about the quality and effectiveness of care being delivered. Agape In Home & Health Care, LLC is insured and bonded as well as certified by the State of Missouri's Department of Health and Senior Services. Our caregivers are experienced and well trained to provide personal care that meets the needs of our clients and to create an environment where our clients’ experiences are pleasant throughout the in-home engagement. All of our caregivers undergo drug testing, criminal background checks, and professional and personal reference checks.